It is located at Thellakom in Kottayam district. It is 7 kms from both the Kottayam Central Railway Station and Kottayam Transport and Private Bus Stands. It is situated in suburbs of Kottayam town, is a heaven of greenery and serenity. Nearest Railway Station: Kottayam Central Railway Station. Nearest Road Way: Kottayam Transport and Private Bus Stands. It brings you the goodness and wisdom of Ayurveda in its purity and totality. It was established in 1999 with the aim of making available the wisdom of Ayurveda for modern day ailments and life style. A beautiful herbal garden, which complements the natural treatments, adds to the attraction of this place. Situated far from the hubbub and commotion of the town, the tranquility and natural beauty of the hospital premises creates a perfect ambience for the healing process. 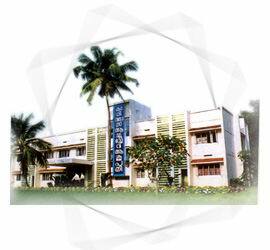 Caritas Ayurvedic Hospital is situated adjacent to the well-known Caritas Multi Speciality Hospital for Modern Medicine. A charitable organization, Caritas offers free daily consultation. Caritas also hopes to generate awareness about Ayurveda among the rural population and promote the cultivation of herbal plants. The treatments are offered by this hospital are; Panchakarma purification therapies, Vamana, Virechana, Vasthi, Nasya, Raktha Moksha, Pizhichil, Sirovasti, Dhara, Navarakizhi, Vasti, Abhayangam, Nasyam, Kizhi, Beauty Care Programme. It also offers Rejuvenation Therapy. It provides Self contained rooms and cottages with AC and facilities for spiritual gathering and recreation. It provides special nursing care for aged patients, communication links like EPAX/STD/ISD, Fax & Internet. Travel arrangements, flight tickets on request. Address: Thellakom, Kottayam District, Kerala.